NEW YORK/TORONTO – For the eighteenth time* since its inception in 1995, the National Hockey League Draft Drawing, a weighted system to determine the order of selection for the first 14 picks of the 2012 NHL Draft, will take place Tuesday, April 10, at 8 p.m. ET. The League, in cooperation with TSN, will announce the results of the Draft Lottery live during a 30-minute program, produced and televised by TSN in Canada. The special presentation also will air in the U.S. on NBC Sports Network. Here’s hoping there’s not a nineteenth time. *Sidenote: In 2005, a.k.a. the Crosby Draft, teams were assigned 1 to 3 balls based on their playoff appearances and first overall draft picks from the past three years. The NHL entry draft lottery system is broken and it’s about time to revamp it. Simply put – the NHL draft lottery in its current state heavily rewards failure. When the most prominent draft theme of the year is “Fail For Nail” or “Fail For Nail or Mikhail”, one has to recognize the problem. And the first step in the process of recovery is identifying and admitting there is an actual problem. Although I would not accuse any franchise of tanking a season in an effort to obtain a better draft slot, there is no doubting the temptation is a clear and present danger to the integrity of the game. Besides rewarding failure, the current system also leaves middling teams (those narrowly missing the playoffs) in a sort of hockey purgatory. Just ask Calgary Flames fans. The basis for the current system is striving for parity. The logic is that teams who finish with the worse records require the most help. Giving said teams higher draft picks is a potential way of leveling the playing field, so to speak. However, sports should be inherently about striving for success and aiming to win. While that is often an ever evolving process, it should not involve losing with a resultant enhancement of draft position. There are many alternatives – each with its own merit, and arguments for and against. I’ll highlight what I consider to be the real contenders. There would definitely need to be plenty of minute details to be sorted out should this option come to fruition, but this is the most intriguing and exciting option. After recently watching one of sports’ greatest of tournaments, NCAA College Basketball March Madness, this type of format would garner some much needed excitement for fans of non-playoff teams. 14 non-playoff teams would partake in a single game elimination tournament. For the first round, the two teams closest to making the playoffs (i.e. 17th and 18th in overall standings) would have a bye. Thus, the first round matchups would be: 19th Vs 30th, 20th Vs 29th, 21st Vs 28th, etc. The team with the better regular season record does get home ice advantage. There would be then the quarter finals of the 8 remaining teams. Next would be the semi-final round of the 4 winning squads, followed by the final matchup. Therefore, 1st through 8th draft position determined by how the team finishes in the tournament (this likely means consideration for 3rd, 5th and 7th place games). Slots 9th to 14th determined by reverse order of overall standings. Thus, the two worst teams in the league’s overall standing would draft no later than 9th to 10th, and therefore assured a top 10 draft pick. This system would give non-playoff teams something to cheer for. It will also be a revenue generator for these teams. I envision a pre-game rink screen brilliant presentation ensuring fans know what’s at stake and showing video highlights of the top prospects on the planet eligible for the relevant draft. Adam Gold suggested what he considers a better way: winning to win. Give the first pick in the draft to the team that wins the most games after being officially eliminated from playoff contention. Then the team with the second highest number of wins gets the second pick. And so on. The White Mamba blog also agrees with this system, looking at it from both the NBA and NHL perspective. 3. All non-playoff teams get an equal chance at the #1 overall pick. This would essentially be a non-weighted lottery system really building excitement as every team that does not make the playoffs would have an equal shot. 4. A weighted draft lottery in which teams that narrowly missed the playoffs have the highest probability of obtaining the first overall pick. That is, the 17th place team in NHL’s overall standings would have the greatest percentage chance, with the 30th overall team having the slightest chance. Think of a team that just missed out on the playoffs potentially being put over the edge the following year should they add a top prospect from that draft year. In this draft year, for instance, the Calgary Flames would have the highest probability of drafting a potential game breaker in Nail Yakupov. In a tournament style draft slot playoff as I proposed, players’ compensation would come into consideration; this is timely with the CBA due to be renewed – work it into the new agreement. The home team would likely have revenue share with the road squad. Teams and players will be concerned about extra games and the potential for injuries. There could be bonus incentives for players should they improve the team’s draft position. Edmonton Oilers, New York Islanders, Columbus Blue Jackets and Toronto Maple Leafs fans may start rioting. 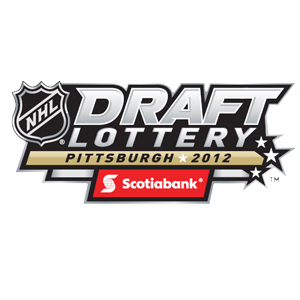 Which system would you prefer or do you like the current draft lottery system as is? Be heard in the comments section below, email your thoughts, or join the conversation on Twitter – @ChrisRalphTHW. 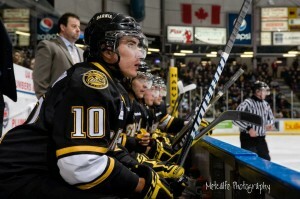 Christopher Ralph is THW’s lead prospect and draft analyst & a Managing Editor. Follow @ChrisRalphTHW on Twitter as he infiltrates, dissects & analyses all happenings of hockey prospects & the NHL draft.